Boat Decals are Printed in Full Color and can be Shape Cut or Square Cut - Order your Boat Decals Today! 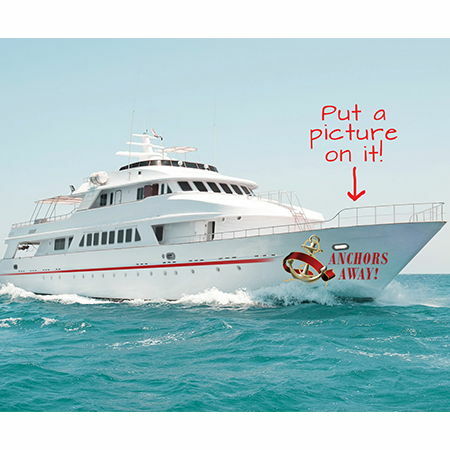 If you want to make a statement with your boat, order custom vinyl decals! We print on a variety of decal materials, but we do recommend our 3M Controltac material for boat decals. The material can be square cut or shape cut, and is very easy to apply because it has air release channels. If you are looking for shape cut decals, we recommend working with one of our customer service representatives to ensure that the artwork file is set up correctly and will print the way you want it to.